Curt (Kurt) Herzstark (the inventor of the remarkable Curta calculator) was born on 26 January 1902 in Vienna. He was the first-born of Samuel Jakob Herzstark, an Austrian Jew, self-taught engineer and businessman, and his wife, the "native" Austrian Marie Amalie Herzstark (nee Toman), a book-keeper. 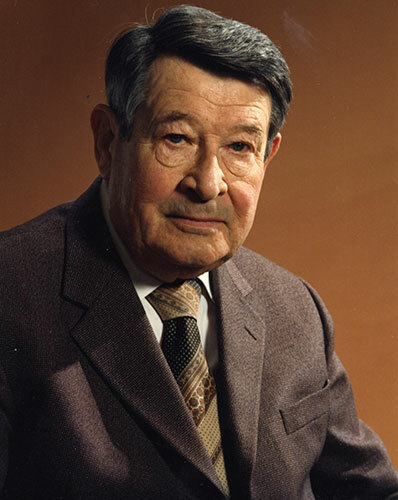 Later the family had another son, Ernst Herzstark (born 30 Apr. 1906, died in 1992). The father, Samuel Jakob Herzstark (see the nearby photo) was born on 10 October 1867 in Vienna, to Benjamin Herzstark (born 1830 in Danzig, Prussia—died 1872 in Denver, Colorado) and Franzisca (Fanny) Herzstark, nee Reches (born 1834 in Dobromil, Galicia—died 1911 in Vienna), the daughter of a doctor. They were German-speaking Jews, who in early 1860s moved to Vienna, where they tried to establish. They had two children: a daughter Amalie (born 14 April 1861 in Dobromil), then Samuel, born in 1867 in Vienna). In Austria Benjamin Herzstark did not find a good job and in 1870 he emigrated to America to try his luck, leaving his family in Austria. He went to Denver, got some land, and was very hopeful that his family could come over soon, but unfortunately he died suddenly in 1872 of blood-poisoning. Samuel studied at a normal grade school in Vienna and then five years in high school, but was forced to interrupt his studies, because his mother ran out of money. Only 15 years old, he was made a teacher, then he began apprenticeship in a machine factory, then he took on a wide variety of positions, because he wanted to learn a lot. After a short service in the army in 1887-88, Samuel Herzstark worked in several companies, mainly in sales departments. In 1895 he departed for USA. There he worked one year for Remington Group, in the department where typewriters were produced. While there he became acquainted with many other types of machines, in addition to typewriters. In 1896 he returned to Vienna, and joined the company Glogowski & Cie (the European representative of Remington), to sell Burroughs calculating machines in Austria and Germany. 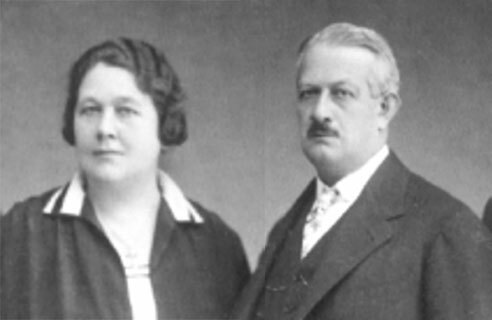 In 1897 Samuel Herzstark meets his eventual wife Marie Amalie Toman (born 8 Sep. 1875, died 15 Jan. 1956). She was a free spirit, just like him. As Samuel left Judaism, Marie left the Catholic church and joined the Lutheran church, and their children were brought up in the Lutheran spirit. In late 1890s Samuel Herzstark became acquainted not only with Burroughs calculators, but also with the machines of the leading European manufacturers, namely arithmometer of Thomas de Colmar and the similar machine of Burkhardt. He saw that different things on the machines could be further improved, so that they would be more saleable. Soon he was obsessed with these ideas, and began to wonder whether it was indeed possible for him to produce such a machine independently. In 1905, using the financial support of the banker Gustav Perger, Samuel Herzstark co-founded the first Austrian factory for calculating machines, Rechenmaschinenwerk AUSTRIA, Herzstark & Co., and next year began production of the calculating machine Austria (based on Thomas system, as modified by Burckhardt), hiring as a foreman the young master-watchmaker Johannes Hayard from Glashütte. They sold some 7000 machines between 1906 and 1914 (cost 700-2500 Krone, a significant amount, as then a skilled worker only got 200 Krone a month), and obtained many patents in the field of calculating devices during this period (about 25 patents for adaptations, additions and improvements to the Thomas calculator). From 1920 the company worked together with the German company Bäuerle from St. Georgen, the manufacturer of Peerless calculating machine. Bäuerle produces the raw works, Herzstark added a keyboard, automatic divider device and motor drive. In 1916, despite his age and his flourishing business (at the beginning of the World War I, around 100 employees (including 50 well-trained precision mechanics) worked in the company, but in 1914 his factory was ordered to produce military equipment round-the-clock, specifically shrapnel detonators), Samuel was drafted at the army and took part in WWI from 1916 till 1918. In 1931 Samuel Herzstark bought a cinema, Kristall-Palast-Kino at the Wiener Prater. In 1933 he was awarded with “Goldenes Verdienstzeichen” of the Republic of Austria. He continued to manage his business until his death on 24 October 1937, and luckily he has made his wife his sole heir long before, and this proved to be very clever decision quite soon. 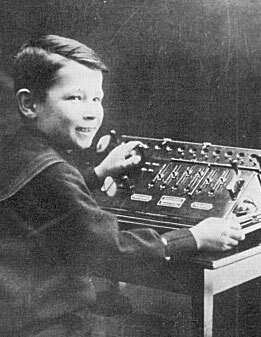 Curt was only 3 when his father began production of the Austria calculator in Vienna (see the lower image of 8-years old Curt demonstrating an Austria calculator at the International Office Machines Exhibition in Gartenbau, Vienna, 1910). Curt grew up with calculators and studied their mechanics. As a boy, he demonstrated also a talent in music. The Austrian composer and virtuoso Fritz Kreisler (a cousin of Samuel Herzstark) insisted for a musical education for Curt, but his father prevailed and the technical training was selected. After studying at an elementary school (1908-1912), and at a middle school, in 1916 Curt entered a Real-gymnasium, where he studied Latin and English. Then his father said that it did not make sense to finish High School and to waste years studying sciences there. So, when Curt was 14 years old he spent a year out of school and worked on his father's factory as an apprentice in fine machines and tool construction, then in 1918 he went to the so-called Staatsgewerbeschule in Vienna (a kind of Engineering School), to be educated as a die-maker and precision mechanic. After graduating the Staatsgewerbeschule in 1922 Curt went back to the family business to continue learning the trade, but soon his father sent him to work in two factories in Chemnitz, Germany (AstraWerke (which produced a 10-key adding machine, similar to Dalton) and then in Wanderer (which manufactured automobiles, motorcycles, a woodworking machine and an adding machine)), in order to gain practical experience. 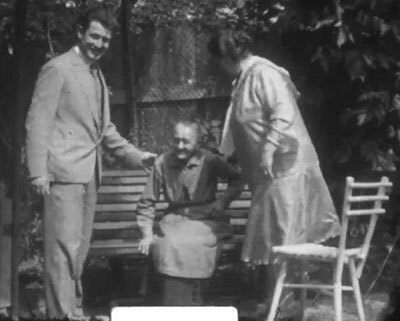 After about a year in Germany, in 1924 Curt returned to the family factory in Vienna. Now that he is almost perfect in technical matters, but his father sends him to the sales department: "It is also important to know the wishes of the customers!" Then Samuel handed over to Curt the sales organizations in Czechoslovakia and Hungary to reorganize them, and Curt was very efficient in this task. In 1928 Curt Herzstark made his first invention. It was a multi-summator (also called Multimator), a machine that can automatically add horizontal and vertical columns in the calculating mechanism in a single operation. The machine was presented to the public at a international office machine exhibition in Berlin and became a sensation. By the mid-1930s Curt was developing plans for a miniature cylindrical calculating machine and by 1938, he had filed a key patent, covering his complemented stepped drum, Deutsches Reichspatent №747073. The good times for Herzstark family and company ended in the autumn of 1937. In October died Samuel Herzstark (Marie Herzstark, as a sole heir, appointed as the manager of machine factory Curt, while his brother Ernst managed the cinema business of the family), and only several months later (in March 1938) Hitler's troops invade Austria. The business was already running badly, when 2 months later a large car stopped in front of the factory and five people get off. As it turns out later: 2 Wehrmacht officers, the others were specialists in precision mechanics. They were looking for a company capable of producing high-precision machines for the army. The Germans were impressed by the capabilities of the factory, and they made to Herzstark a proposal, which cannot be refused. 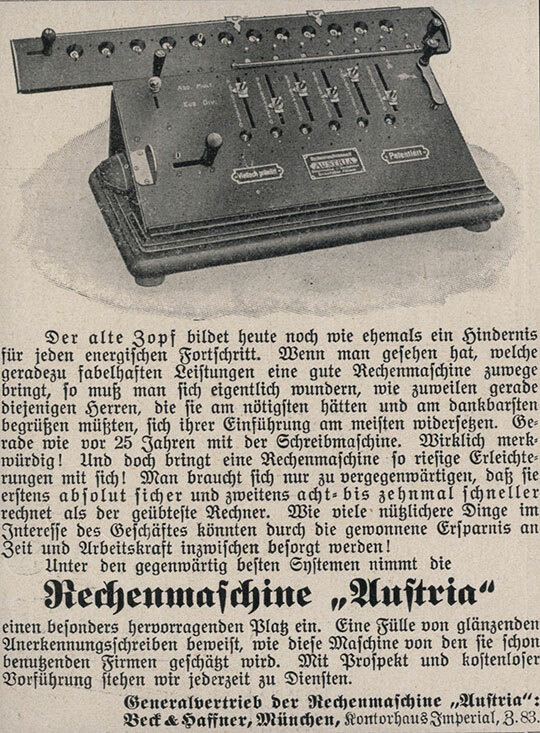 Thus from 1938-1943, the family factory, managed by Curt, was contracted to make measuring instruments and distance gauges for the German military, and Curt had to postpone his plans for a portable calculator. In the summer of 1943 two workers from Herzstark's factory were arrested by Gestapo for listening to English radio and duplicating the messages with a typewriter. Curt as their manager and half-Jew also got into investigation. He is thrown out from the factory, and few days later he was summoned to a testimony and arrested. His alleged offenses: support for Jews, state disintegration, relationship with Aryan women. He was hurriedly found guilty and in November 1943 was sent to Buchenwald concentration camp. First weeks of his stay in Buchenwald were creepy and he thought he is going to die soon, but in December 1943 he was ordered to the commandant's office. There he met an SS officer, who holds his CV in his hand. "So you worked for the Wehrmacht? If you do not suffer from memory loss and obey our orders obediently, you will have a bearable life in the camp." Thus Herzstark was assigned to the attached Gustloff-Werk (a fine mechanical factory in Weimar, which was the workplace for about 4500 prisoners, leased by the SS camp management to the company). The life in Gustloff-Werk was easier, and Herzstark even received a special status and allowed to draw plans for his new, small calculating machine in the evenings and on Sundays. The new machine should be presented to Hitler as a gift. In August 1944 the Gustloff factory was completely destroyed by the American bombings. Many of the workers were killed and injured, but Curt again managed to survive. Soon he was relocated to Billroda, a factory in a former potash mine, 600 m underground, where parts for the V1 and V2 rockets were produced. The work there probably saved his life, as he already had several tuberculosis infections. But this salt air, at 21 degrees constant temperature, was the purest medicine for his disease. Many others are not doing so well: more people are killed in the fabrication of V1 and V2 than by the weapons themselves. In the beginning of April, 1945, Curt returned to Buchenwald, and several days later the US Army reached it. Curt Herzstark was free! In Weimar he got in touch with a former representative of his company and shows him the plans of the new machine. He was astonished and recommended Curt to the Rheinmetallwerke, a large factory for typewriters and calculators in Sömmerda, only 20 km from Weimar. A few days later, five gentlemen, including the Director, whom Herzstark knew from patent deals in 1928, arrived. The experts immediately recognized the value of these plans and the assessment can hardly be better. Curt was immediately named a Director at Rheinmetallwerke and he began to produce three prototypes from his drawings. As the area around Weimar became a Russian zone, and Herzstark learned that the Russians deported many German experts to Russia, he decided to take a risk and to try to go back to Vienna. Thus in early December 1945 he managed to join with his family. There he was surprised positively by the good condition of the factory, but negatively by the fact, that his brother was appointed as a manager, and he wanted Curt to share the desing of his new machine with him. This family problem, combined with the lack of money to start the production, forced him to search contacts with businessmen in Switzerland and USA. Soon Herzstark found a good factory in Switzerland, and wanted to start production there, but he was eventually contacted from the government of Liechtenstein, and he demonstrated his machine to Prince Franz Josef II of Liechtenstein, who was looking for talented professionals and inventions that would be suitable for his country. The Prince was excited: "Yes, that's the right product for us!". Herzstark was invited to establish a brand new factory for the production. He was appointed as a technical director with a 10-year contract, but without other management responsibilities. Moreover, he was gradually isolated from the company management and remained only as a freelance consultant for several years, and left in 1956, transferring his patents to Contina AD for the sum of 350000 francs (a significant amount for the time). 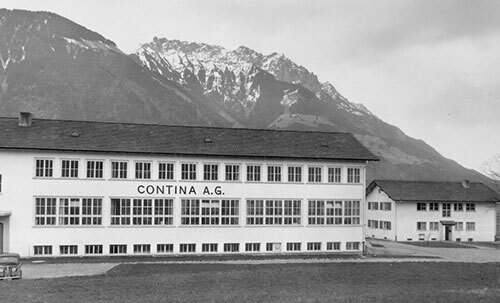 On 15 November, 1946, Curt Herzstark married to Hertha Spindler from Vienna, and they settled in his home in Nendeln, Liechtenstein, a village near Mauren, where was the factory of Contina AG. Their son Curt Albert is born there on 29 December, 1946. On 15 September, 1948, was born their daughter Christa Viktoria (died 16 May, 2018). In 1954 Hertha and children relocated to Vienna, while Curt Herzstark lived mainly in Liechtenstein until the end of his life. 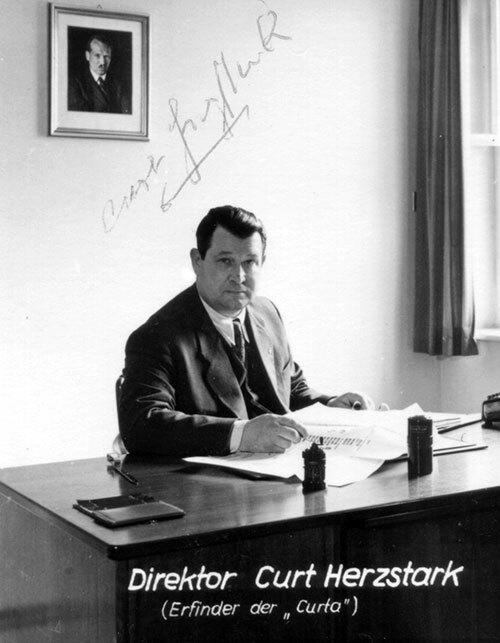 Curt Herzstark has neither become famous nor rich, and died on 27 October, 1988, in Nendeln, Liechtenstein. Only a small circle of scientists, technicians and collectors hold up the memory of the man, who made the last great invention in the field of mechanical calculating machines!